This is for an elegant rustic wood and metal storage baker's rack shelf from Shopatusm. 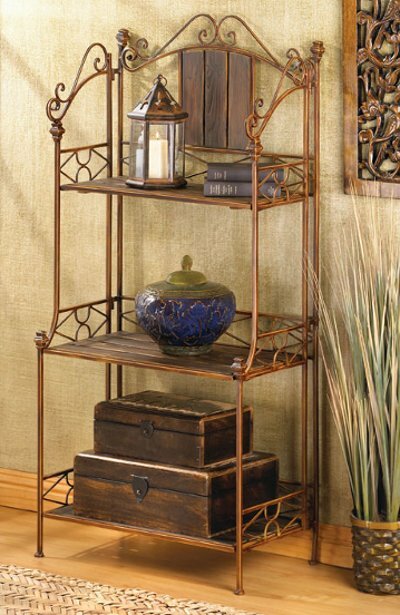 Baker's rack has just the right mix of rustic romance and roomy shelving! An attractive showcase for decorative treasures, or an ample storage spot for everyday items; blends perfectly into your decor. Weight 21 lbs. Wood and metal. 23 3/8 inch x 12 3/4 inch x 49 inch high.